At Luminary MD in Irvine, California, Robert Milanes, MD, strives to allow each patient to look and feel their best using state-of-the-art technologies and techniques. Patients of all ages in southern California trust the Luminary MD team for safe and effective IV therapy, Botox®, chemical peels, and medical weight loss. Dr. Milanes was one of the first providers in Orange County to offer EMSculpt, the cutting-edge body sculpting technology that strengthens and tones muscles while reducing fat. During a free consultation, Dr. Milanes assesses your medical history and goals in order to form an individualized treatment plan that’s right for you. 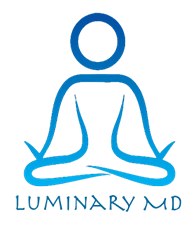 Each person is unique and the treatments at Luminary MD reflect that. With his years of experience, Dr. Milanes knows which treatments work best for each goal. The energy and vivaciousness of youth don’t have to be restricted to a young age: You too can have tight, blemish-free skin and energy to keep you going through a long week. Dr. Milanes and his team at Luminary MD have a clear passion for beauty and youthful exuberance. When visiting Luminary MD for tighter skin, fuller lips, or a boost in energy, you’re sure to leave your appointment feeling fresh and looking gorgeous. "I'm doing their Myer Cocktail IV and was so impressed with the location, service, cleanliness, professionalism, cleanliness, and socialization!" "The nurse and doctor are both great, easy to talk to and answer any questions I have. I did do laser at another place as well and Luminary MD takes the crown."